CANBERRA, Australia — Australian police said Wednesday they were a step closer to deciding whether to charge a top Vatican cardinal over allegations of sexual assault dating back decades. Cardinal George Pell, Pope Francis' top financial adviser and Australia's most senior Catholic, has long been dogged by allegations he mishandled cases of clergy abuse when he was archbishop of Melbourne and, later, Sydney. More recently, Pell has faced accusations of child abuse himself when he was a young priest in the 1970s. Pell, who runs the Vatican's economy ministry, has repeatedly denied all the allegations. Last year, detectives from Australia's Victoria state flew to the Vatican, where 75-year-old Pell agreed to be interviewed over allegations of sexual assault, police said. A police statement on Wednesday said investigators have since received advice from Director of Public Prosecutions John Champion, the state's top prosecutor, on the sexual assault investigation. Police have not made that advice public. "Detectives from Taskforce Sano will now take time to consider that advice," the police statement said. "As with any investigation, it will be a decision for Victoria Police as to whether charges are laid." The allegations involve two men, now in their 40s, who say Pell touched them inappropriately at a swimming pool in the late 1970s. At the time, Pell was a senior priest in Melbourne. The Catholic Archdiocese in Sydney, which issues statements on Pell's behalf in Australia, did not immediately respond to a request for comment. But Pell has previously said he never abused anyone. 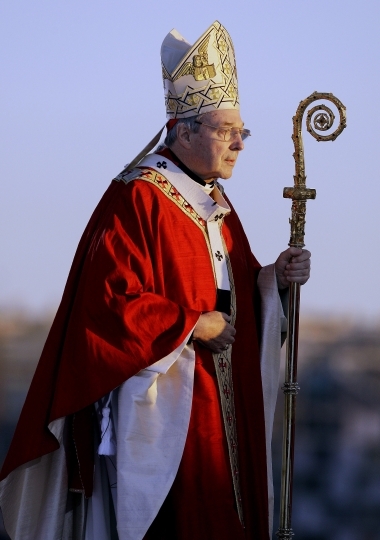 Sydney Archbishop Anthony Fisher defended Pell, saying the cardinal had cooperated with multiple police and parliamentary investigations. "Everyone supports just investigation of complaints but the relentless character attacks on Cardinal Pell, by some, stand the principle of innocent-until-proven-guilty on its head," Fisher said in a statement. "Australians have a right to expect better from their legal systems and the media. Even churchmen have a right to 'a fair go.'" Pope Francis has declined to address the accusations against Pell, saying he wanted to wait until the investigation was complete before commenting. "We must wait for justice and not make judgments ahead of time," the pope said last year.